Every year, people make resolutions to get healthy, lose weight, get more organized and save money. According to a recent survey by Statistic Brain, the second most popular New Year’s resolution for 2015 was to get organized! January is a good time to begin creating goals to get your home organized for the New Year. After the chaos of the holiday season, putting away holiday decorations is a great start to getting the house back in order. One of the challenges of starting an organization project is finding motivation. To kick off your home organization and stay on track for 2016, follow these three simple steps listed below. Start with a goal in mind for your organizing and decluttering project. Use photos of organized rooms for inspiration. After you decide on your goal, create a list of what you need to do, what moving or packing supplies and what storage solutions, such as shelving, bins or baskets, you will need for your project. Split up the decluttering projects into smaller tasks, which will be then be easier to accomplish. 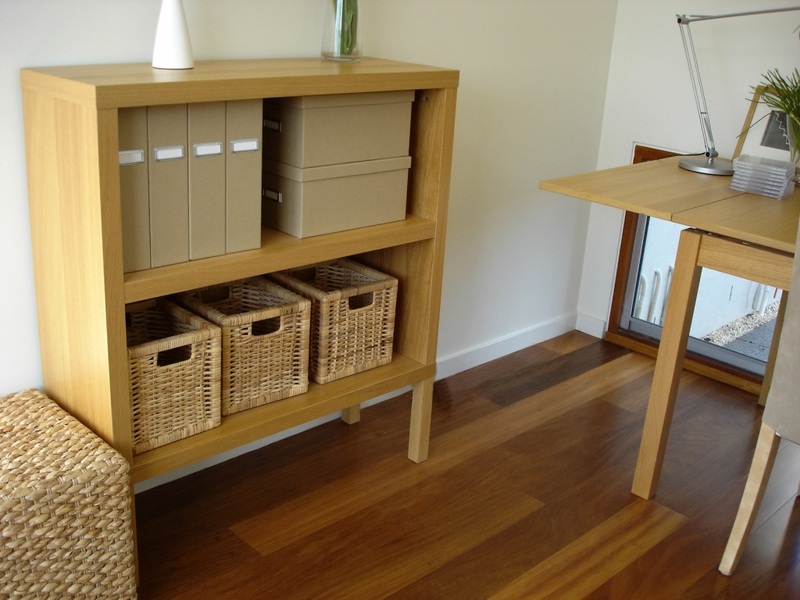 Consider breaking down your decluttering project into rooms, it can help make the task less daunting. The first step of any reorganization project is to remove all items from the room (or area) that you want to reorganize. Once you have removed the items and cleared out the room, then it is time to sort the items into the following piles (or boxes): keep in the room, store, donate, sell or throw away. This is the hardest step to any home organization project as we can be very emotionally attached to our things; which in turn causes more clutter to gather in our homes. Rent a storage unit for items that you can’t part with, but no longer have a place for in the newly organized room. Donate the items that you don’t need any more to organizations that could use them. Donate books to a library or school. Donate clothing to local shelters and donations centers, such as the Salvation Army or Goodwill. Once, you have created a clutter free environment, it is important to keep it organized going forward by doing daily cleaning, such as cleaning the kitchen or putting away toys in their proper location. If your home becomes cluttered again, start the project all over. Sort your mail right away. Place magazines and catalogs that you won’t read directly into the recycle bin and place bills and other mail that have to be answered in a specially designated spot. With proper planning and a goal in mind, you can declutter and reorganize your home and keep it organized going into the New Year. Storage World has a variety of storage options, including climate and non-climate controlled, available for every storage need from storing holiday decorations, unused exercise equipment, family heirlooms or toy collections.